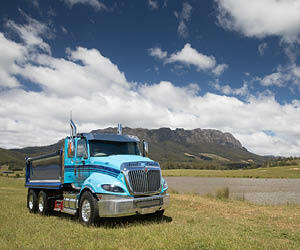 Introducing the new INTERNATIONAL® ProStar® One of North America's best-selling truck models. 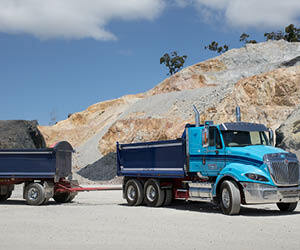 Available in tipper, day cab, extended cab and sleeper cab variants, the ProStar® lends itself to a wide range of applications. 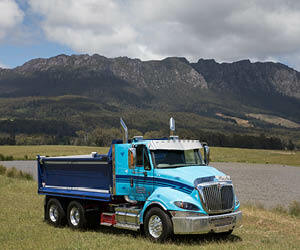 The day cab fits in front of virtually any Australian trailer set. 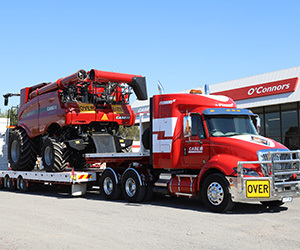 The ProStar® can also be used as a truck and dog and is suitable for 34 pallet B-double, 36 pallet B-double and even B-triple and two trailer road train work. The 2085 mm wide, 3585 mm BBC Sleeper Cab features full standing height and 2250 mm wide integrated sleeper compartment with 2170 x 700 mm inner-spring mattress, large under-bunk storage with internal and external access, and bunk curtains behind seats and around the glass area. The 2085 mm wide 3510mm BBC Extended Cab inludes a 660 mm wide bunk for superior comfort, and additional under bunk storage with internal access. 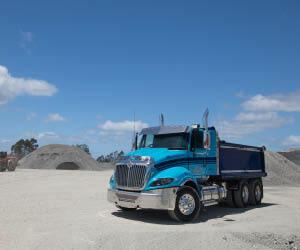 ProStar® models feature the new Cummins X15 engine, an evolution of the company’s proven and hugely successful ISXe5 power plant of which more than 6000 have gone into service in Australia since 2013.
International worked closely with Cummins South Pacific to install and calibrate the engine into the Australian ProStar® chassis, with much of the engineering undertaken at Cummins' pilot center in Melbourne. 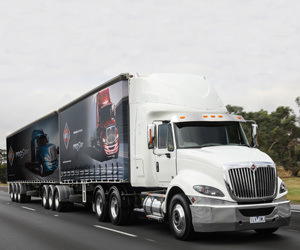 The two companies also worked closely on the vehicle’s cooling package to meet very stringent requirements for cooling system efficiency and overall technology integration that will see the trucks thrive in Australia’s demanding operating conditions. The big bore 15 litre engine is rated at a hefty 550 horsepower (410 kW) and 1850 Lb Ft (2,508 Nm) of torque from a low rpm, with a peak output of 578 horsepower (431 kW) ensuring plenty of power for a wide range of applications. If operators want even more power, they can also have the X15 in a 600 horsepower (447kW) / 2,050 lb.ft (2,2779 Nm) rating. For less demanding applications, alternative ratings from 485 horsepower (361 kW) and 1650 lb.ft (2237) upwards are available. The engine also features an XPI (Extreme Pressure Injection) common rail fuel system which operates independently of engine speed, providing precise injection and combustion control at injection pressures greater than 30,000 psi. Multiple injection events per cycle improve fuel efficiency and enable smoother operation. Operators who select the Eaton 18-Speed ‘UltraShift Plus’ automated transmission can also benefit from the optional ‘ADEPT’ package, a suite of innovative electronic features capable of further reducing fuel consumption by up to 6 percent. The X15 features ADEPT technology – a suite of advanced electronic features capable of delivering fuel economy gains through improved powertrain integration. 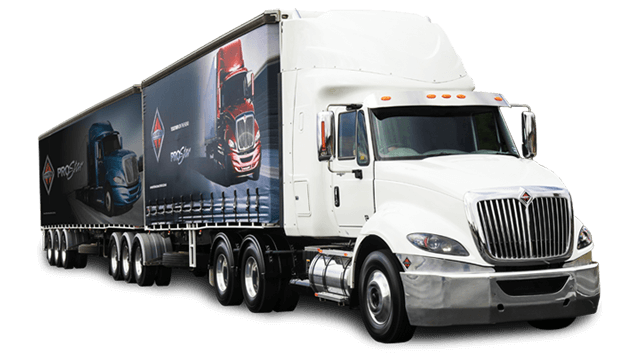 ADEPT – Advanced Dynamic Efficient Powertrain Technology – is for use with Eaton’s 18-speed automated UltraShift Plus transmission. It utilises load, speed and grade-sensing technology to initiate adjustments to engine power, torque and transmission gear selection to take advantage of vehicle momentum for better fuel economy. 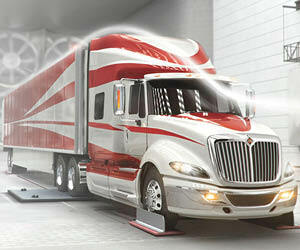 The first ADEPT package includes two features: SmartCoast and SmartTorque. 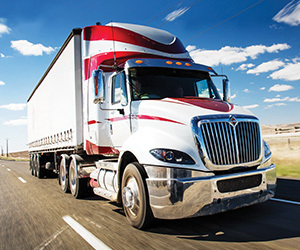 SmartCoast operates when the vehicle is on a moderate downhill grade by disengaging the front box of the transmission and returning the engine to idle to reduce drag, maintain momentum, and ultimately improve fuel economy. Once the engine commands the transmission to be put back in gear, the appropriate gear is engaged. SmartTorque uses torque management intelligence to help eliminate unnecessary downshifts and keep the engine operating in the most fuel efficient ‘sweet spot’. Torque is varied across all gears depending on torque requirement. 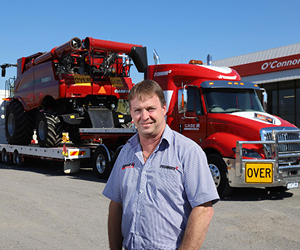 For Australian operating conditions, the torque varies up to 1850 lb ft or 2050 lb ft depending on the horsepower and peak torque rating of the engine. 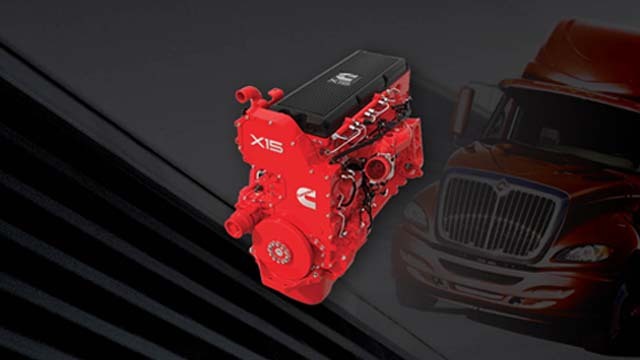 To meet stringent Euro 5 emissions requirements, the X15 features a fully integrated Selective Catalytic Reduction (SCR) system developed by Cummins Emissions Solutions (CES) which doses urea into the exhaust stream to reduce oxides of nitrogen (NOx) emissions. 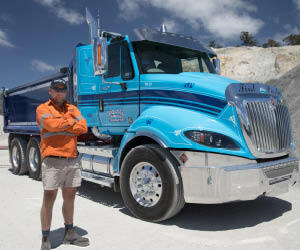 The Cummins system is widely regarded as one of the best, using less AdBlue/DEF than competitor products. Due to the high efficiency of the after-treatment system, the engine meets the Euro 5 requirements without the need for either Exhaust Gas Recirculation (EGR) or a Diesel Particulate Filter (DPF) which simplifies the engine design and reduces ongoing maintenance. Coupled to the Cummins engine is a choice of two transmissions, an Eaton 18-Speed manual or the Eaton Ultrashift. 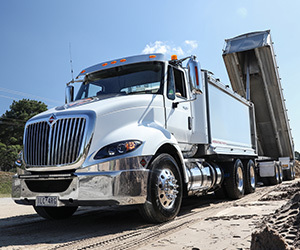 Drivers preferring a traditional manual shift transmission can select an Eaton 18-speed, which features an effort-reducing air over hydraulic clutch providing excellent feel while reducing fatigue. 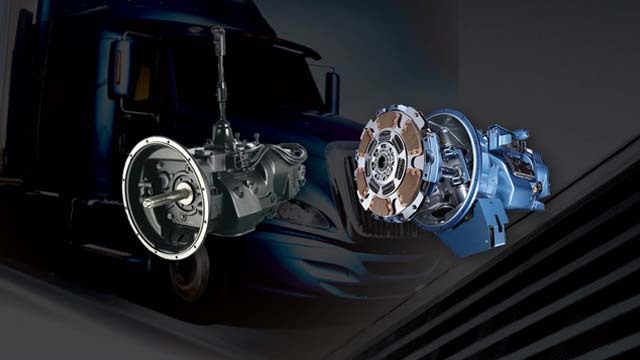 The Eaton 18-speed has long been a favoured transmission for demanding applications where reliability is paramount and where drivers prefer the total control that a heavy duty manual transmission delivers. The clever Eaton ‘UltraShift Plus’ 18-speed automated manual option is also available, providing drivers with an even more relaxed driving experience. The Ultrashift Plus is based on the proven 18-speed manual but uses an electronic clutch actuator to provide fast shifting and smooth engagement. At idle, it fully engages the clutch giving the driver ultimate control in challenging situations, and when on the move intelligent shift selection software analyses changes in grade, weight and throttle to calculate the most efficient and effective shift points. Both transmission feature a wide ratio coverage meaning they provide excellent startability and low speed control, combined with low engine rpm at cruise. 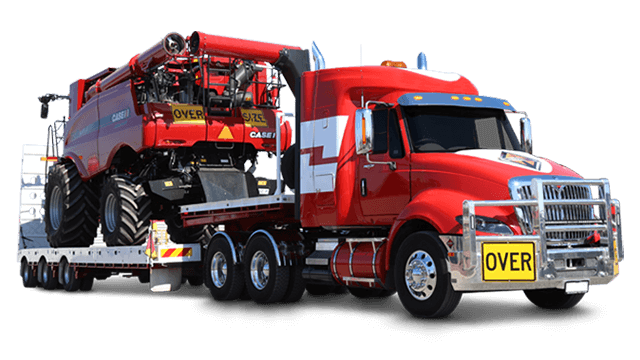 An oil to air cooler and oil filter are also included as standard to ensure optimum long term performance in demanding Australian conditions. 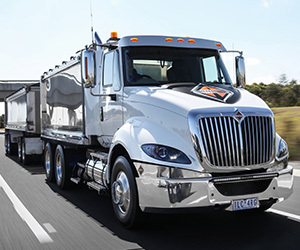 Owners of the new ProStar® range get the peace of mind of knowing that their investment is protected by comprehensive warranties providing general vehicle coverage as well as for major body components and drivetrain. The engine is also covered by a generous base warranty of 24 months / 402,336 kilometres or 6250 engine hours. For buyers wanting additional protection, exteded engine warranty programs of up to 5 years / 1.2 million kilometres / 18,000 engine hours are available at extra cost. A wind tunnel. Almost 10 million kilometres on the road. Exhaustive internal testing. No detail spared to identify and address causes of downtime so you can always rely on maximum uptime. Take on any load, any distance, with the exceptional fuel economy and big bore power performance of the Cummins ISX15 engine. Assists in both rollover and vehicle under and over-steer situations to help maintain a vehicle's lateral stability and steerability. Provides drivers with improved safety and greater confidence behind the wheel during heavy and slippery surface braking applications. *Available late 2018. 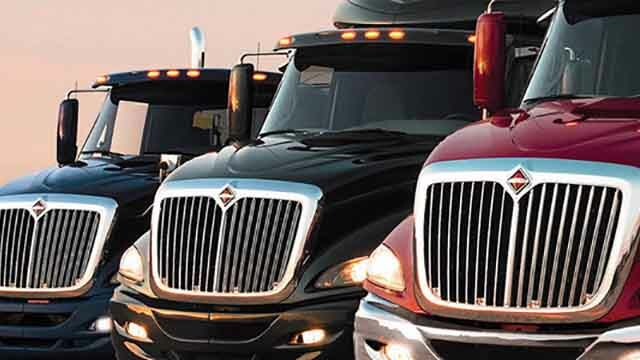 Because headwinds aren’t the only winds you’ve got to face on the road, the unique front end and cab design has the lowest wind averaged drag coefficient in the industry. It’s how you keep fuel costs low and productivity high. Enjoy quiet and comfort when driving or resting, delivered by the strategically placed engine and cab mounts. Relax and feel at home with cab and sleeper storage specifically designed with the driver’s lifestyle in mind. Wasted motion is wasted time and effort. Find gauges and controls within easy reach, settle into advanced ergonomic design and stay comfortable with a standard tilting and telescoping steering column. Drive smarter, not harder, with exceptional maneuverability, on-center steering and an effort-reducing hydraulic clutch pedal engineered to reduce driver fatigue.